'Home away from Home' - Campbell's Boarding House is situated in Johannesburg West on the outskirts of Melville, near UJ and Wits Universities, there are art and culture, restaurants / pubs & loads of family-friendly activities on hand. You’ll love our place because of the African theme, Tranquility, Homeliness, High standards, Comfy beds and especially our Best Price in Town guarantee. We grant a 10% discount for a 7 day or longer reservations and a 25% for 30 days or longer. Campbell's Boarding House is absolutely ideally situated in an Area that is rich in modern history. We are also located on the Melville Koppies West, a Heritage Site and Nature Reserve in the Heart of Johannesburg. We are just around the corner from Melville yet far enough away not to be impacted by its renowned night life. Locals refer to this suburb as 'Little Hollywood' - a local TV star hangout. All major Highways are easily accessible and there is loads of Public transport available. 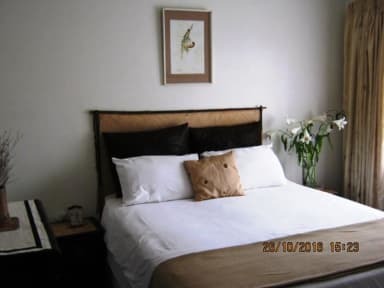 Campbell's Boarding House offers lodging in a centrally situated, safe and secure Residence in Triomf, a historic rich suburb of Johannesburg. Accommodation is offered in a double Bedroom with a comfortable Queen size bed and the available four bedrooms share two bathrooms. The rooms are serviced daily. 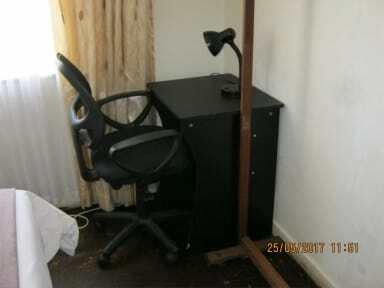 Satellite TV / Internet access may be made accessible to visitors on request. Guests may relax in a pleasant garden or use the barbecue facilities. We provide secure parking on the premises and the Institution has ADT security services on call and a Security guard on patrol. Breakfast not included, can be booked as optional extra.